Equiparts carries a wide selection of hardware and repair parts for restroom toilet partitions. 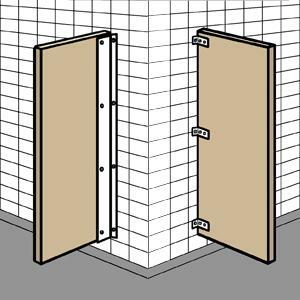 Our inventory includes the Flexi-Mount urinal screen mounting bracket, aluminum continuous brackets for partitions, single-and-double ear wall and urinal screen brackets, headrail brackets, u brackets & more. Call 1-800-442-6622 for pricing or general inquiries. 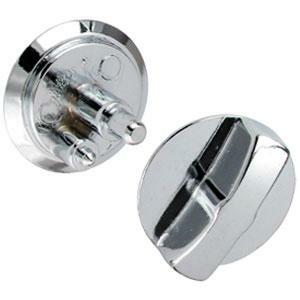 Equiparts carries a wide selection of restroom stall door/toilet partition hinge repair parts. 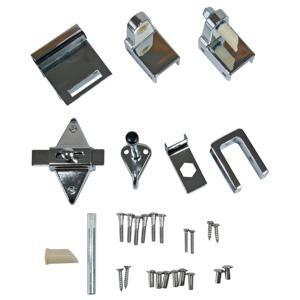 Our inventory of repair parts for toilet partitions include aluminum wrap-around hinge sets, top-and-bottom hinges, hinge assemblies, hinge brackets, partition hinge cams, hinge pins, partition hinge sets, hinges for laminate & more. Call 1-800-442-6622 for pricing and general inquiries. 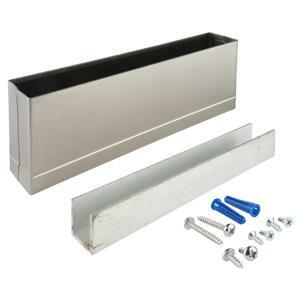 Equiparts carries an assortment of pilaster shoes for restroom toilet partitions. Our inventory includes stainless steel plaster shoes for square edges, plaster shoes with anchors, split rounded plaster shoes & more. Call 1-800-442-6622 for pricing or if you have any questions. Equiparts carries a range of repair parts for toilet partitions/restroom stall doors. 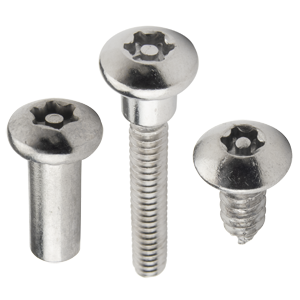 Our inventory includes brackets, hinges, latches, miscellaneous bolts, pins, and nuts, pilaster parts, strikes and keepers and more. We carry partition doors and parts from the following manufacturers: All American Metal Corp, Bobrick Washroom Repair, General Partitions, Global Partitions, Metpar, and other partition manufacturers. 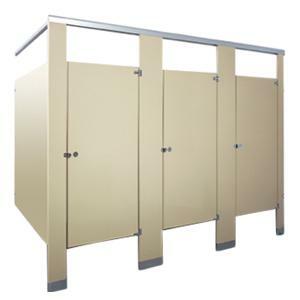 Find all of the partition items needed to keep your commercial restroom in proper working order all on Equiparts.net. We also carry all of the other items that go with partition repair, like numerous types of vandal resistant screws, stainless steel panels, and the tools needed to complete the repairs and installations. Give us a call to speak to a plumbing repair specialist who can help you choose the right partition parts you need the first time. At Equiparts, we have long-standing relationships with the partition manufacturers we work with. Our sales reps meet with manufacturer ongoingly to stay up to date with new products so we can help you choose the best parts for your situation with expert help. We ship anywhere in the contingent United States. Give us a call toll-free at 800-442-6622 Monday-Friday, 7:30AM-5PM EST.